Woods Hole Research Center welcomes Beth Brazil as the new Director of Foundation Relations. 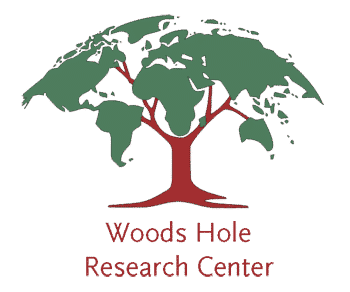 Founded in 1985 by renowned ecologist George M. Woodwell, Woods Hole Research Center (“WHRC”) is a private, non-profit research organization and acclaimed leader in addressing the great global environmental issues of our time through science and policy. Its core focus is to conduct high quality scientific research, and policy analysis and implementation, on environmental and economic issues. Original research and scholarly reviews are published in the world’s best peer-reviewed scientific journals. These findings and discoveries form the basis of credibility for applying science to the policy challenges of stewardship and sound management of the Earth’s ecosystems in an increasingly resource-limited world. As the WHRC’s Director of Foundation Relations, Beth will manage relationships with foundations and other institutional donors, and will contribute significantly to the planning, organization and execution of a comprehensive program to expand private gifts and grant support from these donors. Beth comes to WHRC with more than 20 years of development experience, most recently serving as the Senior Manager of Foundation and Corporate Giving at Manomet, Inc. (previously the Manomet Center for Conservation Sciences). At Manomet, Beth identified government and foundation funding sources to support Manomet’s programs. Beth holds a B.S. in Human Ecology from Rutgers University and a M.A. in Interdisciplinary Studies, with a focus in nonprofit management and environmental education, from Lesley University.